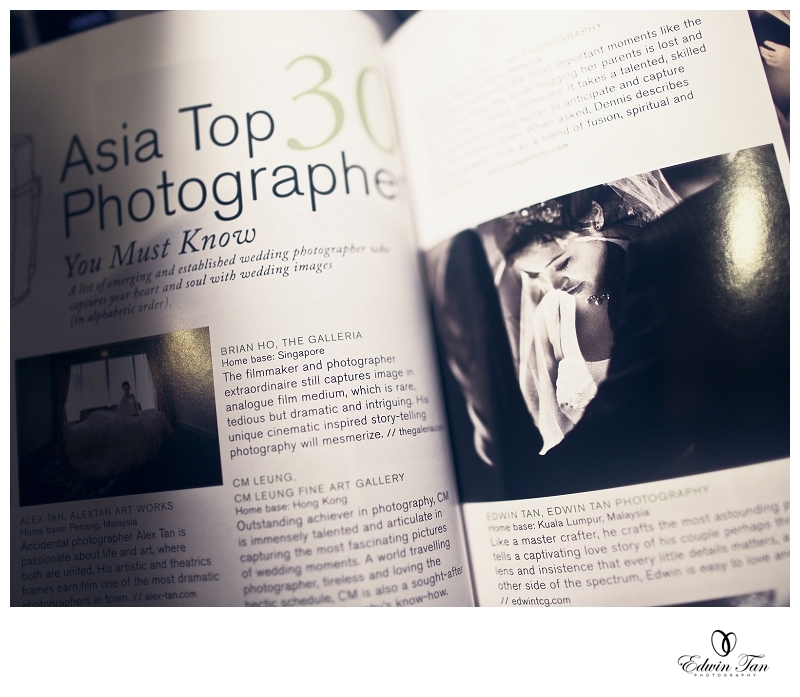 We would like to express our appreciation and thanks Signature Wedding Magazine for selecting us as one of the Asia Top 30 Photographers that You Must Know in their January 2012 issue. 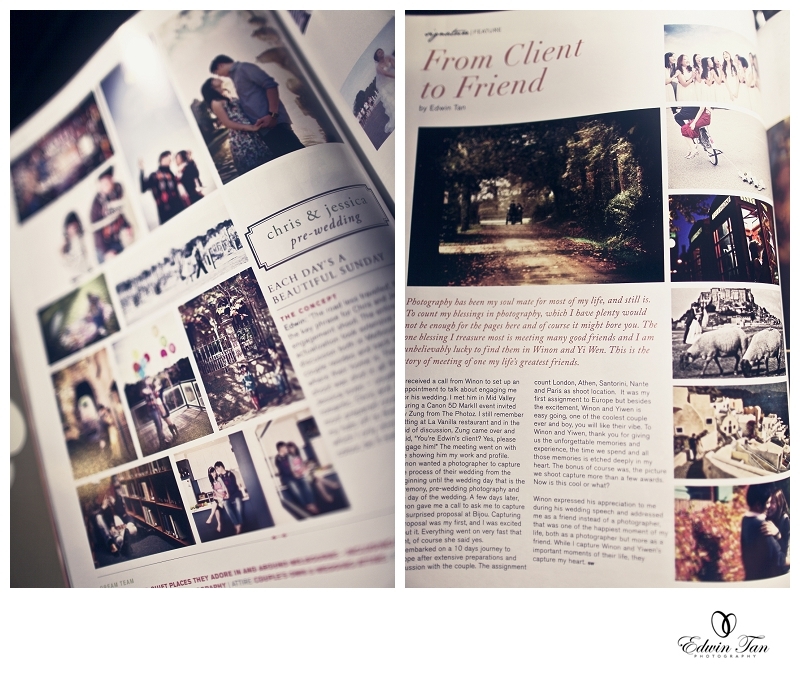 Below are some of the highlights and images featured in the magazine itself including our clients’ interview. 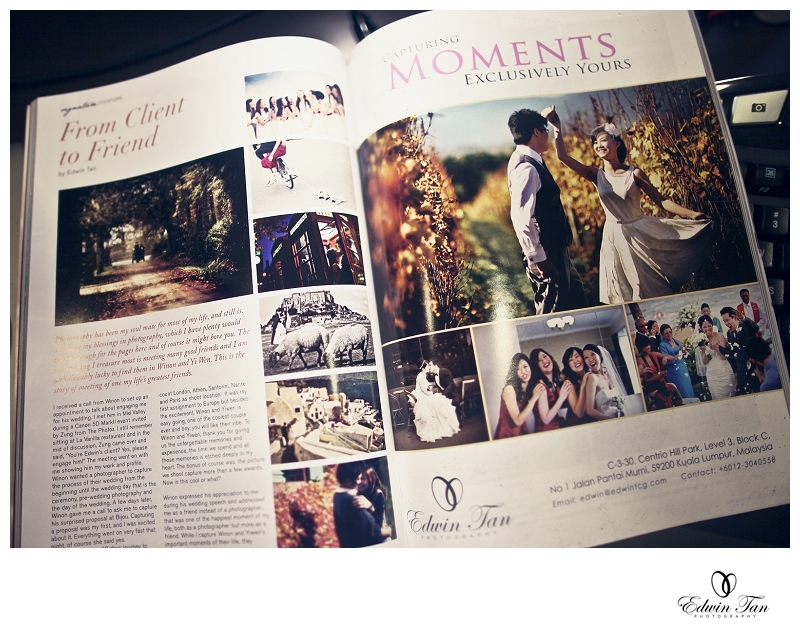 Get one copy today at all major book stores ya!